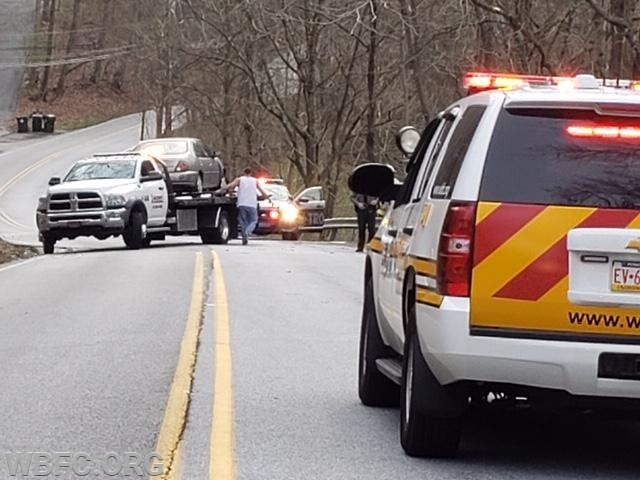 Monday afternoon, around 4:00pm, WBFC and Minquas EMS received the alert for an automobile accident at Shadyside and Old Shadyside Road. 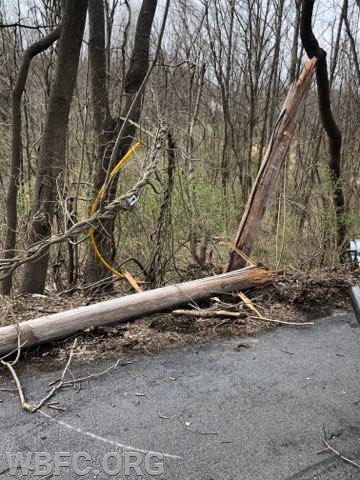 CCFR advised of two vehicles involved with wires down. 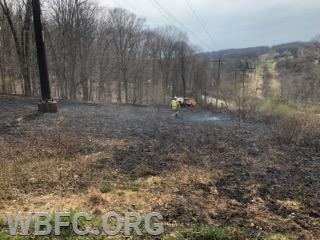 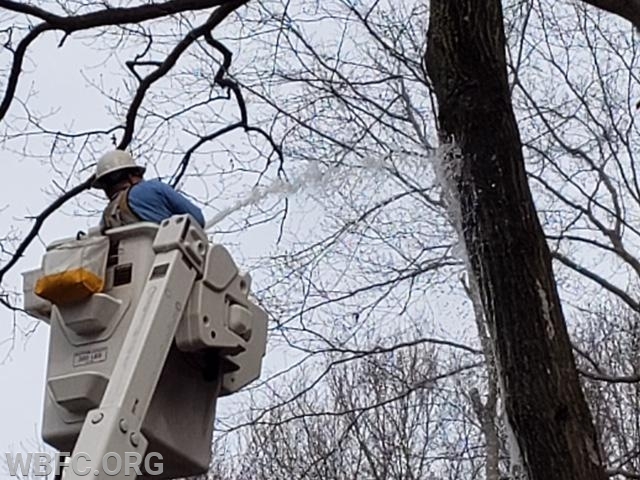 Minquas EMS arrived to confirm the report and advised due to the live wires being down it ignited a brush fire, involving about half an acre, as well as a tree fire at the accident location. 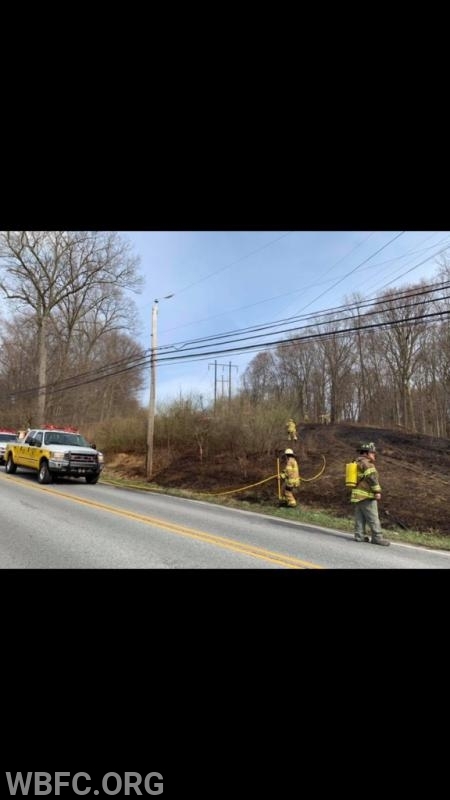 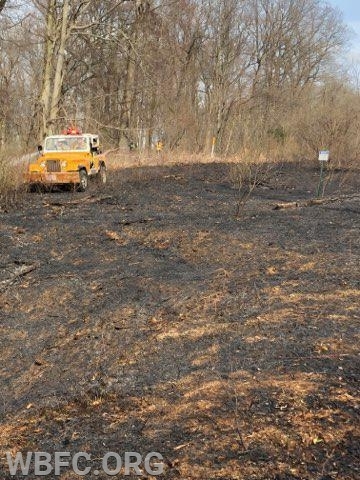 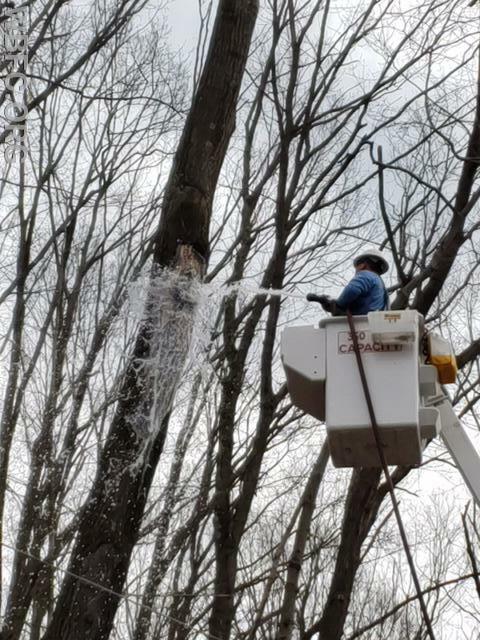 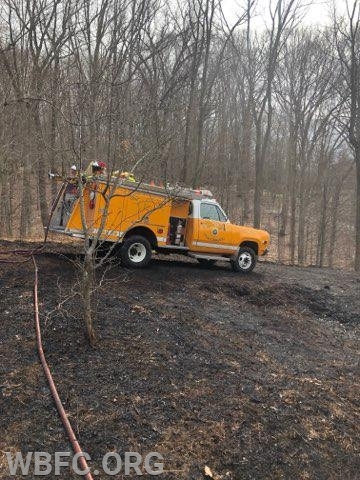 Rescue 39 and Minquas EMS provided the resources at the accident, while Chief 39 arrived at the upper end of the fast moving brush fire and requested two additional brush units and a tanker for water supply. 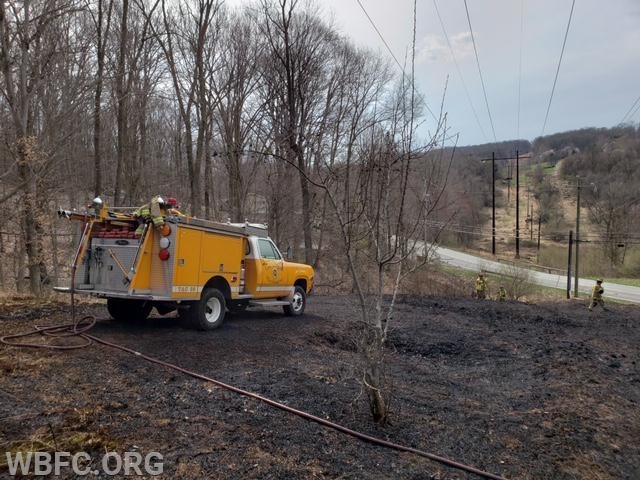 TAC 39 arrived and began fire suppression on the top side, followed by Brush 51 and Brush 39, while Brush 45 handled the lower end. 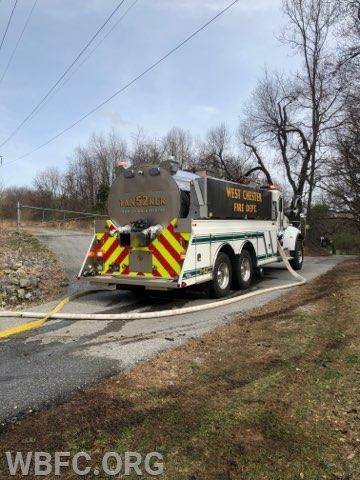 Tanker 52 arrived to supply the needed water supply as Engine 51-2 arrived for support. 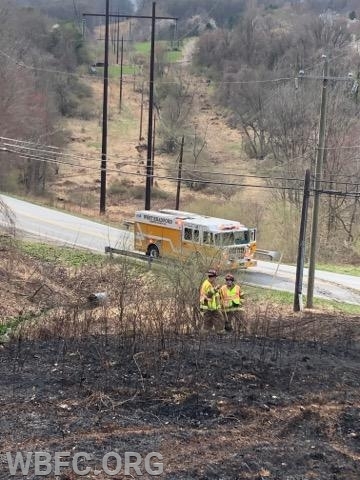 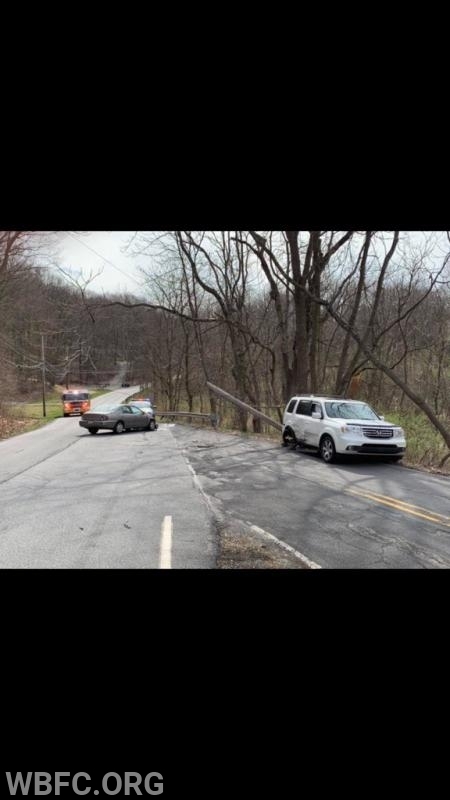 Fire Police closed the roadway in order for the firefighters and emergency equipment to safely operate and allow PECO to clear the power lines from the roadway. 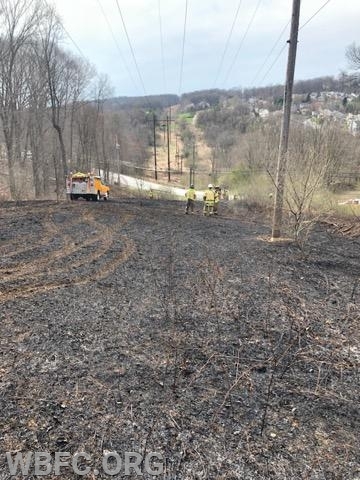 Units operated for approximately two hours on both incidents while containing the brush fire to just over an acre and preventing it from spreading into the woods.